The New York Yankees and the entire baseball world mourned the loss of catcher Thurman Munson, when the Cessna plane he was flying crashed near the Akron-Canton Regional Airport in Ohio on August 2nd, 1979. Munson, who was 32 years old at the time of his passing, was the captain of the Yankees and were coming off back-to-back World Series titles while in hot pursuit of a third straight title and fourth straight pennant in 1979. With the untimely passing of such an iconic player during the prime of his career, game used items from Thurman Munson, especially from his final season, are very rare. 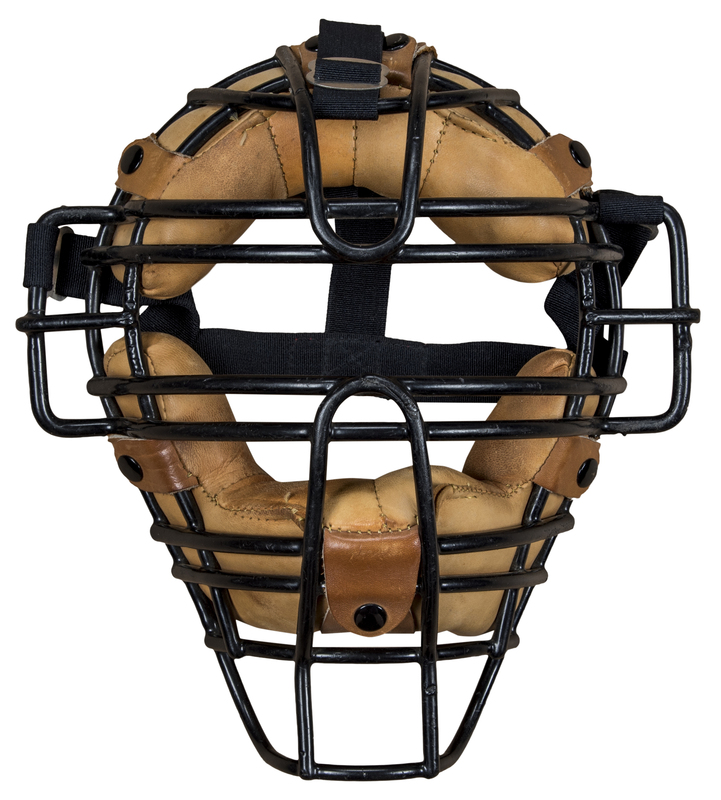 Offered here is one of the catcher’s masks used by Munson during his final season in 1979. 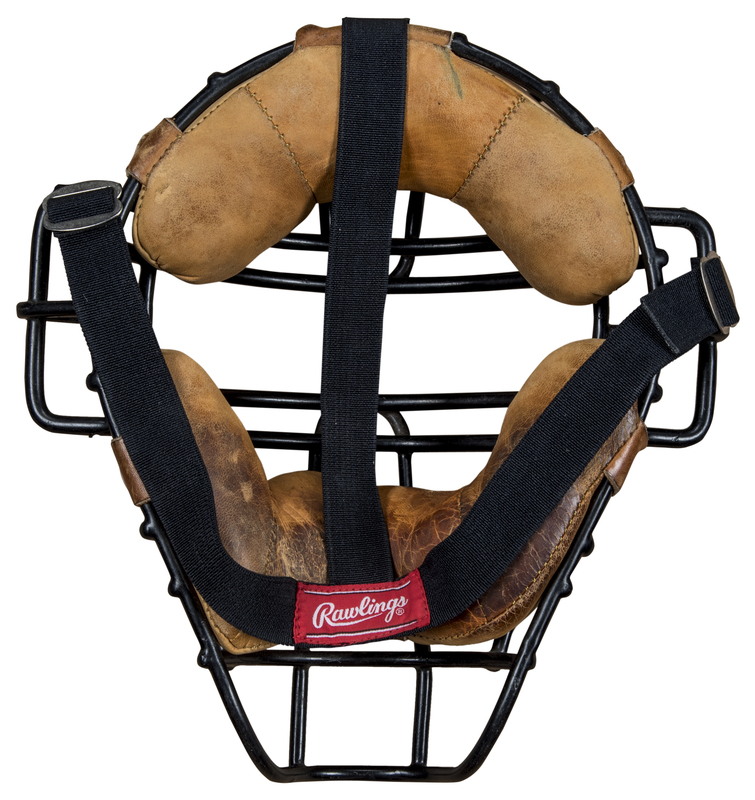 This mask has a rubber coated iron frame and was manufactured by Rawlings. The metal frame has tan padding on the inside of the metal frame that surrounds the forehead, cheeks and chin area. 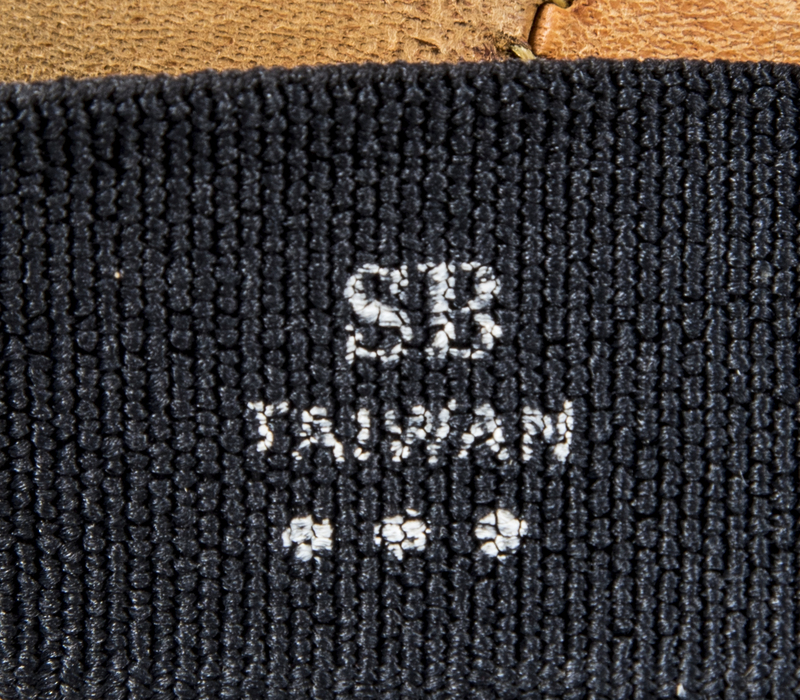 The red Rawlings tag is affixed to the center of the three-strap backing. This mask displays excellent game use and is a truly historic baseball item from one of the game’s most beloved and revered players. 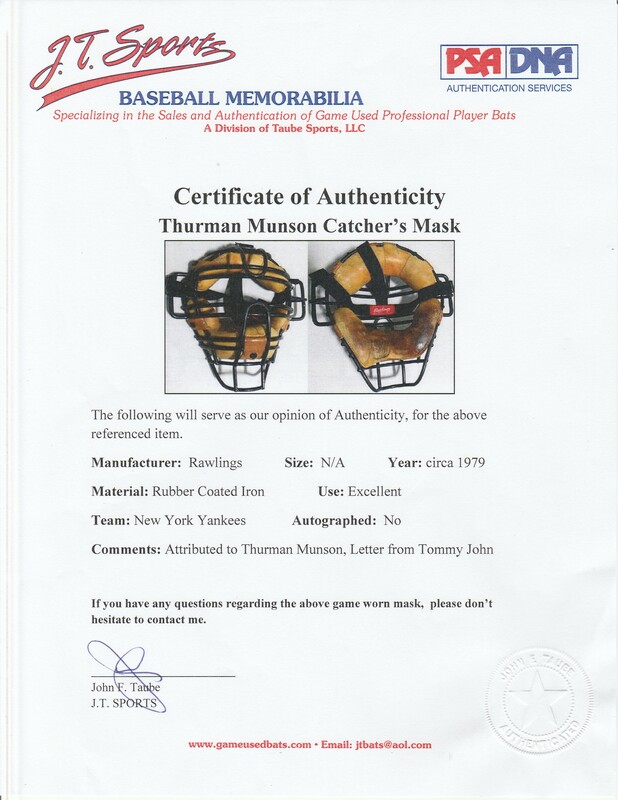 This mask comes with a LOA from former Major Leaguer Tommy John, who was a teammate of Munson in 1979 and states that “My locker was next to Thurman’s, and we were good friends. 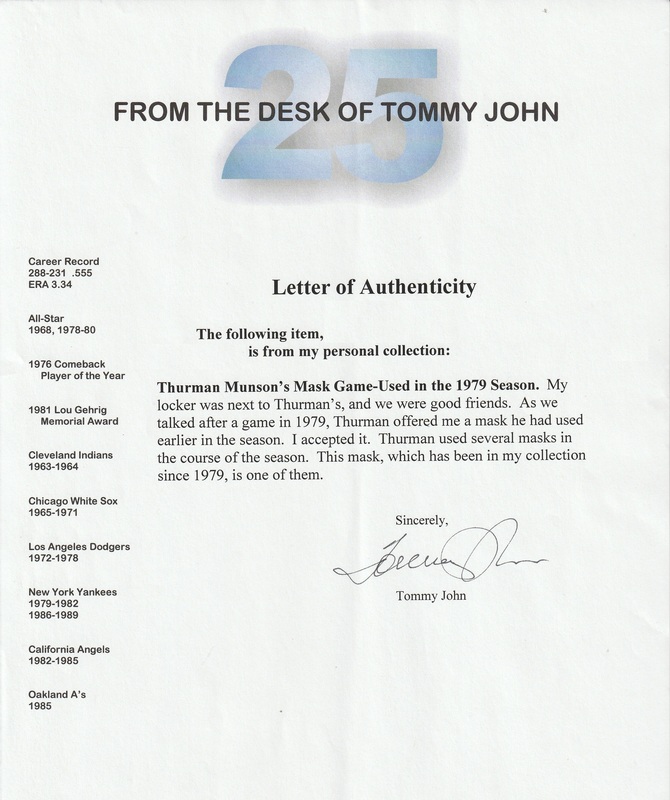 As we talked after a game in 1979, Thurman offered me a mask he had used earlier in the season…This mask, which has been in my collection since 1979, is one of them.” There is also an additional LOA from JT Sports for the game use.